We are efficiently engaged in manufacturing and supplying a wide range of Plastic Mango Crates in Chennai, Tamil Nadu, India. 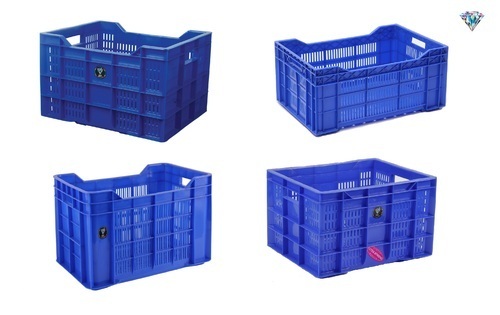 We provide these Plastic Mango Crates in multiple sizes used to store heavyweights in transporting vegetables & fruits. Offered crates are ideal for use in different stores, supermarkets and retail counters for storage, stacking and nesting of packed items, etc.